After seven years of planning, organizing, persistence, and patience, Treasure Island Park reopened today. 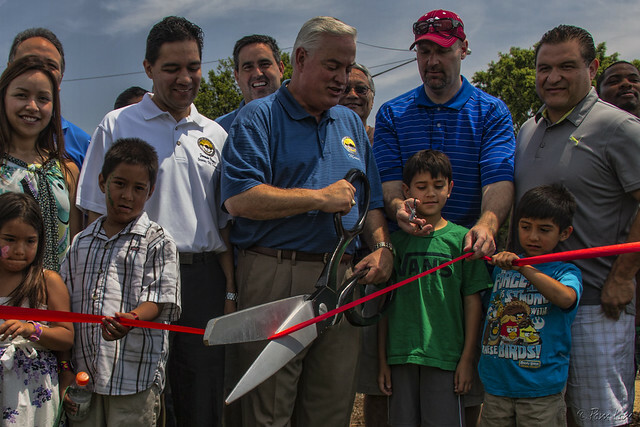 The whole neighborhood and the entire Downey city council turned out for the re-opening and ribbon-cutting ceremony. Council member Roger Brossmer joked that the project "has moved at the speed of...government." 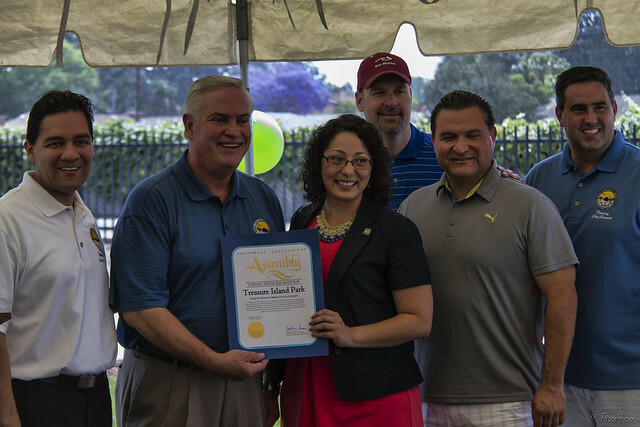 Assembly member Cristina Garcia, newly elected just six months ago and on hand to present a certificate of recognition to the city, said that she couldn't take any credit for getting this project done—or for the amount of time that it took! 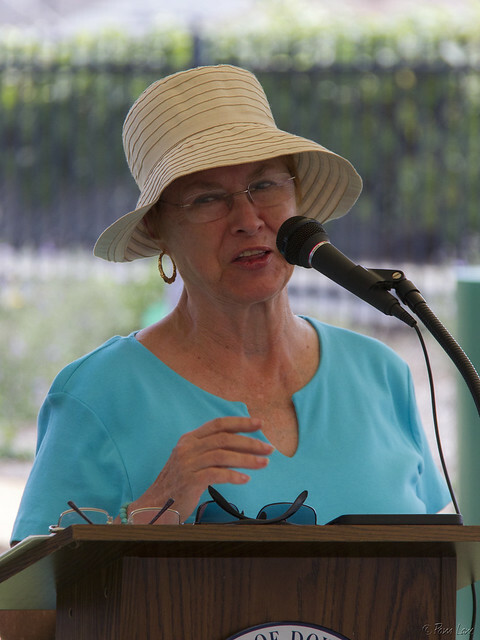 The newly equipped park had many contributors, including the LA Conservation Corps, First 5 LA, and Amigos de los Rios. Mayor Mario Guerra thanked neighborhood resident Luann Parker (left) for her leadership. There's much more, too much to show you in a single post. And not just for the park—this is a busy weekend for Downey events, which you'll hear more about later this week.